You are here: Home / Fitness / Is Cortisol Affecting Your Life? Try Yoga. According to a 2012 Gallup poll, over 40 percent of Americans are stressed. Stress can be the unseen boogey man living under the bed for many of us, affecting our sleep and our lives in general. 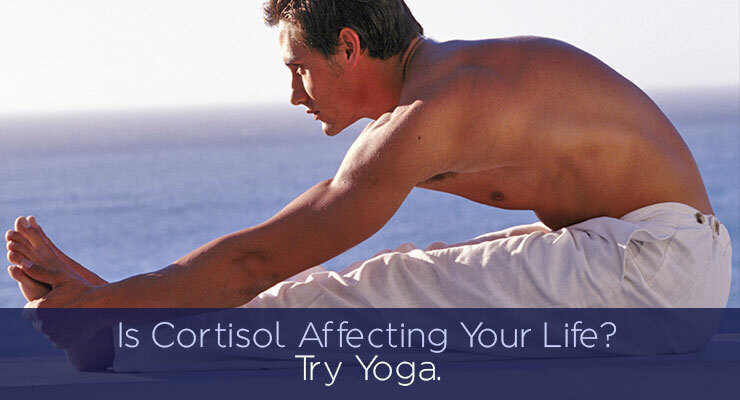 Our own bodies release cortisol, a stress hormone, during “fight-or-flight” situations. This can increase blood sugar and aid in metabolizing nutrients, all while reducing immune system function and bone formation. All of these are highly beneficial in a high-risk situation. However, for the average person, maintaining this level of high alert can be detrimental to our bodies and our health. What one may not know is that cortisol can affect fat storage and weight gain in stress prone people. This translates into the unhealthy abdominal fat, otherwise known as visceral fat. This excess fat is thought to raise one’s risk for diabetes, heart disease and other conditions. However, there are ways to fight the fat! For a reduction that engages the body, brings balance, emphasizes mindfulness of actions and awareness of self, consider joining the 11 million Americans who practice yoga. The benefits have been studied time and time again, and the world is in agreement—it can help to reduce your stress levels, lower your blood pressure, help aid weight loss, and even keep those cortisol levels in balance to provide you with an overall healthier lifestyle. As exercise, yoga increases the heart rate and promotes increased oxygen use by our cells and our being. Unlike many high intensity training sessions, yoga allows us to be active and gain a quick endorphin boost without raising cortisol levels. These endorphins naturally elevate one’s mood and act as painkillers for the body, lowering stress levels and aiding in an individual’s ability to relax. Instructors encourage deep breaths to allow for more oxygen to the brain, producing a calming effect on the mind and body. But it’s so much more than just those feel good endorphins! By using relaxation techniques, including meditation, to engage the mind, body and soul, the benefits of yoga go beyond the physical. The ability to sit still, decompress one’s thoughts, and allow the mind to be free of worry is why participants of yoga and meditation have significantly lower stress levels compared to those who do not engage in those activities. By focusing on present tasks, rather than dwelling on all our other daily stressors, one can find his or her peace. This is the purpose of meditation- to clear our minds and bring our bodies to a calm state, evident by a slower pulse and heart rate. The health benefits associated with yoga continue to be promoted by physicians and even employers. Many Fortune 500 companies such as Apple, Forbes and Nike offer classes to their employees as a way to combat stress and to keep their workers happy and motivated. Exercise has been linked not only to lower stress levels but also to increased cognitive functions like memory. Companies are taking the time to invest in the healthy lifestyle that yoga embodies and so should you. Elissa Lappostato, co- founder of Prajjali and yoga teacher, suggests these five poses for those looking for some cortisol reduction. As its name suggests, this pose mimics the movements of felines. Majariasana promotes movement in the spine, allowing your lower and upper back to remain flexible and free from pain, which is often caused by stress. What is great about this is that it helps eliminate tension that is already there and prevents tension from occurring in the future. This pose also opens up the chest cavity allowing for increased lung capacity and improved blood circulation. Majariasana helps reduce stress even more by gently massaging the abdominal organs. The movements used in this pose help alter and relieve pressure that is often put on internal organs. Often used to transition between poses, Uttanasana, also works as a great stress reliever when used alone. This pose requires the individual to start by standing upright with hands resting on their hips. As he/she begins to bend forward, they set their focus on keeping the weight evenly distributed on their heels. One can continue by bending their elbows and holding on to each elbow with the opposite hand. Uttanasana focuses on stretching the hamstrings, calves, hips, knees, and thighs. Long hours in the office and sleepless nights are far too common in the workplace. These two stressors are responsible for tight backs. By focusing on releasing tension on the back and legs, staying in this position for just two minutes can help relieve different levels of stress ranging from fatigue to acute depression. Known as the Corpse Pose, Savasana requires a person to quite literally remain in what appears to be a corpse-like state. This pose requires they lay on the floor with eyes closed and hands facing up. Stress causes muscles to tense up which can eventually lead to different aches and pains in your body. As one lies in this position, their muscles have no choice but to loosen up and release tension. Aside from helping release stress, this pose can also be used to reduce insomnia and improve sleeping patterns. The Balasana pose mainly focuses on the thighs. Overall, this pose helps regulate and calm the body by helping to stabilize circulation and encourage steady breathing. Since the body tends to hunch over during inhalation in this position, it encourages the spine to lengthen and widen, thereby relieving back and neck pain, which may be a result of stress. This pose helps stretch the chest, neck, legs and spine. Since your chest is elevated in this position, it causes lung capacity to increase, thereby encouraging deeper more stabilized breaths. This controlled breathing is great for alleviating stress because it eliminates the increased heart rate associated with it. By encouraging a lower heart rate, this pose is especially beneficial to those who suffer from high blood pressure. Do you want to know more about the different types of yoga available, and how they can help lower your cortisol levels and ultimately your stress? Prajjali.com offers an opportunity to try a variety of styles, from hot to Vinyasa yoga, with no commitment to a single style. With participating studios in California, New York, New Jersey, Virginia, and Texas, the Prajjali Pass can offer you the flexibility you need to experience yoga for yourself. For Elissa, the practice of yoga is much more than a form of exercise- it is a tool to calm the mind and body, an art-form, and overall, a way of life. At the age of 17 Elissa was involved in a traumatic accident. She was able to find something in yoga that helped her with her post-traumatic stress and anxiety. After practicing for a year and seeing the unique benefits that the practice offered her, she started teaching yoga classes at Rutgers University at the age of 18. 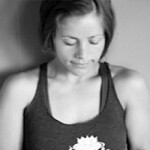 At the age of 30, Elissa opened the Nirvana Wellness and Yoga Center in two locations - Montville and Wayne, New Jersey.